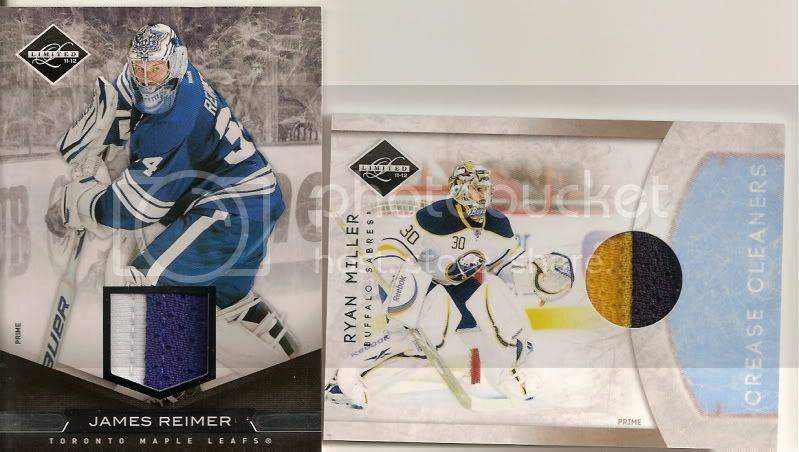 Beckett Message Boards - 2 boxes of 2011-12 Panini Limited - "SEAMS" OK..
Beckett Message Boards > Hobby Talk > Hockey > Box Breaks > 2 boxes of 2011-12 Panini Limited - "SEAMS" OK..
Full Version: 2 boxes of 2011-12 Panini Limited - "SEAMS" OK.. Nothing huge here IMO, but at least I didn't get some stupid Hanson Brothers auto!! More importantly, no redemptions here, can't say the same for Football of course..
Not too shabby at all! Congrats on the great seams, and those Phenoms look great! Nice break. Nice names. Good patches. However, maybe it's just me but I'd expect a little more out of these high end products. You see patch or seam cards just like this out of Pinnacle or Artifacts. If you're paying $90 & up for Limited, there should not be any 1 color jerseys in there or jerseys with that small of a swatch. 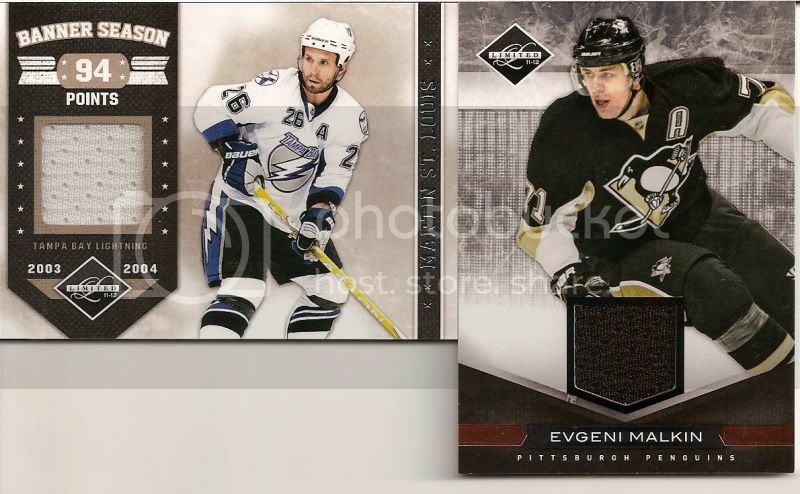 Man I wish I would have gotten those boxes for my break Malkin and Vitale. I need both if your interested in parting with them. Not a bad break. Interested in the Miller if your looking to move it.